BPEarthWatch Live/ 'The Theater of the Mind"
Red Pill Radio Live. BPEarthWatch and Friends. The Current World News and Updates. Red Pill Radio Live/The Theater of the Mind. Surviving a Black Out. Call In With Your Questions about Surviving a Long Term Grid Blackout. Solar Panels Etc. Red Pill Radio Live/The Theater of the Mind. Latest Updates on the End of the Deep State attempt to take down our President, Here Comes the Pain. Operation DragonFly and WorldWide Censorship Coming Fast. 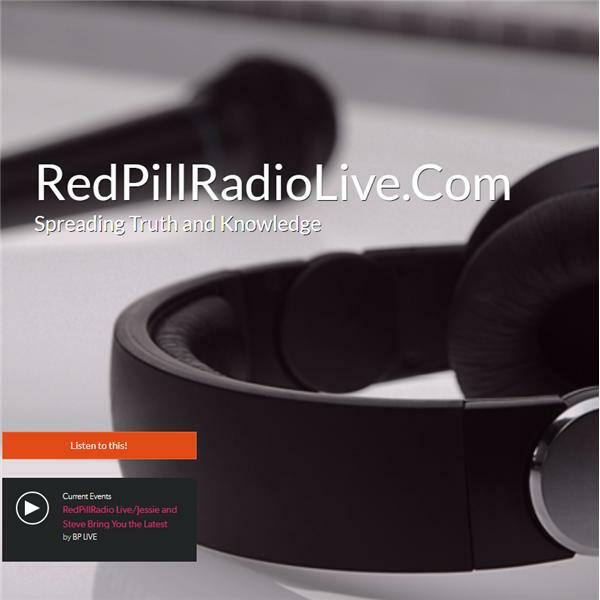 Red Pill Radio Live on Blogtalk. Join BPEarthWatch for the lastest Reports from a round the World. Join us Live. Real information that is very rare. Red Pill Radio Live. The World Wide Breaking News that is important to the People that are awake. Live Callers and Guest. Join BpEarthWatch Live. Join us for the latest info from science to politics. Join us live for the latest updates from around the world. What will the House Intel Commitee do now?